Hello, I am Aaron chislett AND WELCOME TO MY PHOTOGRAPHY WEBSITE. Hi i'm Aaron, a twelve year old photographer. I just love the subject because you get to see a lot of things while you are out shooting! I like to make video's for my YouTube channel. When I am older I want to become a professional photographer or a film director. As my first DSLR the Nikon D3200 is my main camera. 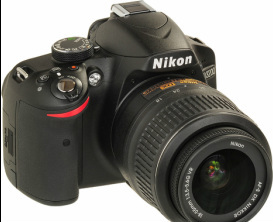 It is a very good entry level DSLR with a twenty-four megapixel C-MOS sensor. It shoots 1080 P at sixty frames per second. As my back up camera I have a Fujifilm S6800 bridge camera. While being dwarfed my the Nikon it still has its purpose. I like to shoot portraits, landscapes, sport and close ups. The reason why I like them is because they are interesting, imaginative and colourful.